“The cloud services companies of all sizes…The cloud is for everyone. The cloud is a democracy.” – Marc Benioff. As simple as its name and as useful as its features, cloud computing has been omnipresent in almost all fraternities today, healthcare being one of them. The cloud computing has carved a niche for itself and has begun to transform the face of the healthcare units, becoming an important tool for the industry. 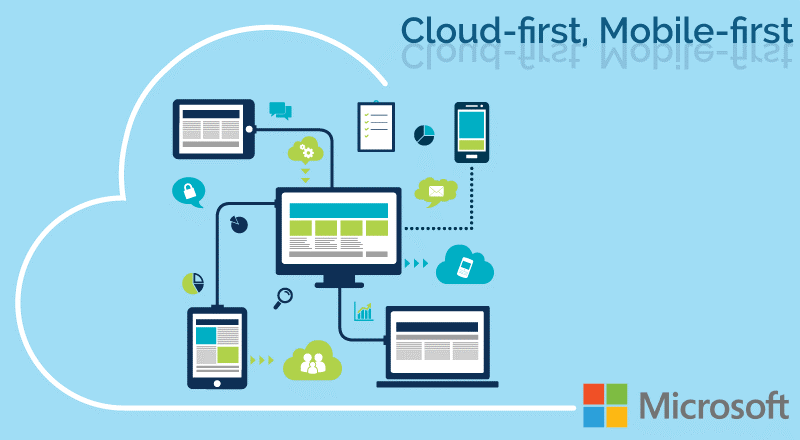 Cloud Application Development is all set to rule today and tomorrow. Providing its users a massive amount of storage and computing power, the cloud is bent upon augmenting business results all over the healthcare units. Healthcare units have opted for cloud computing all over the globe, witnessing the benefits and value addition that it offers to the industry. No doubt, there has to be a certain level of precautions taken considering the sensitivity that adjoins the industry in terms of patient safety and cure along with the competence and efficacy of the treatment and care being taken. If done with a proper guideline, Cloud App Development is all set to bring a smooth and swift transformation for the healthcare sector, keeping in purview the different service delivery models – PaaS, IaaS and SaaS and the varied cloud deployment models – Private, Public and Hybrid. All these put together prove instrumental in garnering the success behind cloud implementation in the industry. With the cloud coming into picture, the healthcare industry gets pumped up with a lot of association in terms of facilitating stakeholders with remote data access and storage. Healthcare officials around the globe can get access to the patient data instantly at the tip of the finger. This allows doctors to avail those critical lifesaving moments with latest technological updates like remote conferencing, instant access to latest reports etc. Because the cloud is available anytime anywhere, it serves as the best medium to get in touch with health care professionals in times of trouble. At times, when there is a need for a senior’s expert advice, this medium acts as the best one to get in touch with the most appropriate resource, aiming to save lives in seconds. With a very conservative cost factor attached to it, the cloud computing becomes accessible to almost all sectors of healthcare, ranging from huge multispecialty hospitals to smaller clinics and dispensaries. Even the smallest units can leverage the power of the cloud to get the desired information easily within their stipulated budget limits. The cloud turns up to the most ideal medium to launch Big Data into your organizations. As known, Big Data is most capable to handle huge chunks of voluminous data, allowing doctors to compare information of patients for better treatment. But, Big Data without the cloud may not be able to feasible to manage and hence this combination plays a key role. Along with the support of Big Data, the cloud can assimilate huge tons of information and facilitate researchers in extracting information about the subjects under research, offering them the best of results in the limited time frame. This is sure to bring along much elevated results in the medical field. Be it Internet of Things or Mobile Applications, the cloud is capable of integrating with the latest technologies to offer the best possible long distance patient care and for doctors to treat their patients sitting far off. With various applications on the smartphones or instant access to information through IoT, both doctors and patients can be in regular touch and thereby save the moment of crisis in a perfect manner. Because the cloud infrastructure has a professionally large setup, it offers a highly robust and secure infrastructure as compared to the traditional local ones. With the best of costing possible, there is a full proof security that is guaranteed with cloud computing. Even the security of patient information or research history is well taken care of, with certain standardized norms in place. The cloud application development services are capable of swift and seamless upgrades and innovations at frequent intervals. Hence, the entire burden of getting in sync with the latest upgrades lies on the cloud service provider and not on the healthcare authorities. They simply have to install the latest upgrade. This helps a ton in garnering a higher level of modernization in the industry. Today, as we know, the mobile technology rules the globe. Each and every mobile app has the presence of a cloud based environment at its backend. With the usage of mobile devices at every nook and corner of the healthcare industry, automatically, the presence of the cloud based services is also a fact that has helped the industry grow by leaps and bounds in terms of modernization. With the cloud based services working closely with the regular healthcare developments, there are sure shot technological advancements at every step. This way, the traditional adaptations take a step back and the modern innovations come a step further, setting up new trends that help the healthcare industry achieve new heights. SPEC INDIA has been offering Cloud Application Development Services to a multitude of industries, spread across the globe and has garnered expertise in developing and implementing the best of cloud based solutions. Making the most of the cloud, our state-of-the-art cloud application development service offerings ensure increase profitability and productivity with business efficacy to its maximum.